Monday - Acts of Kindness day - this year, we are having a coat & mitten drive to benefit a local women's shelter. 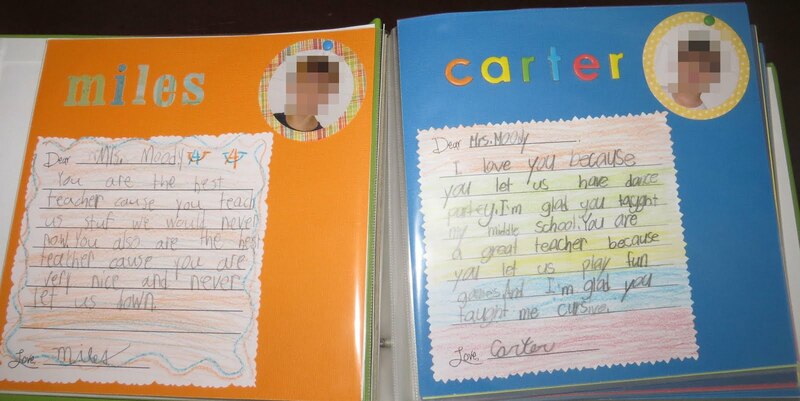 Tuesday - Teacher Luncheon - the teachers have a catered lunch and one of the parents watches the class during lunch so the teacher can have a "duty-free lunch". 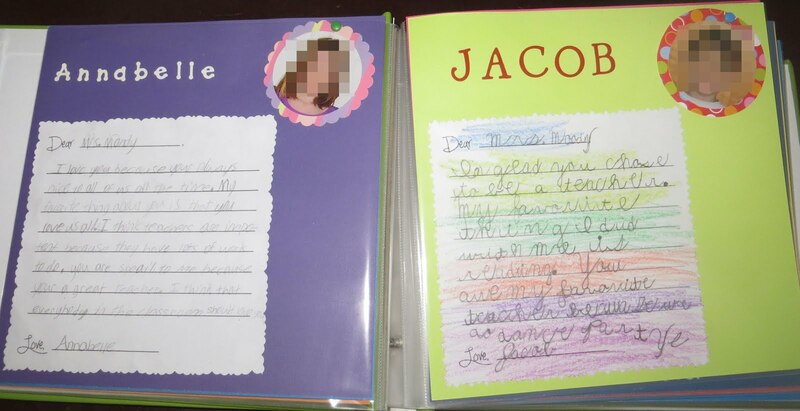 Wednesday - Special Memento - this can be anything, like a special piece of artwork the kids have made or a scrapbook with letters, recipes, or photos from the kids. 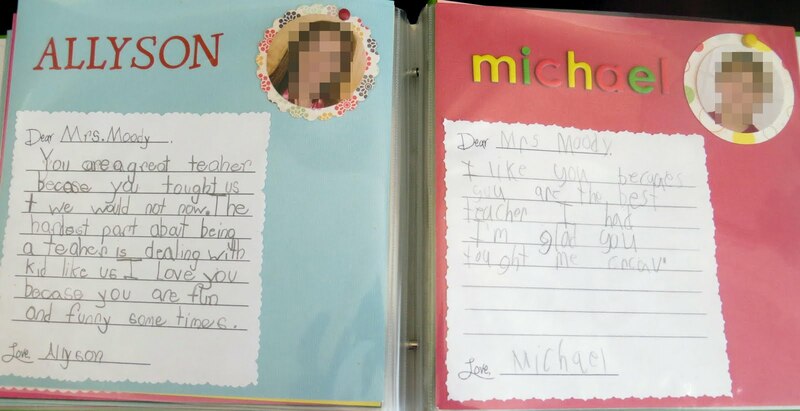 Thursday - Valentine's Day - the kids bring Valentine's for their teacher. 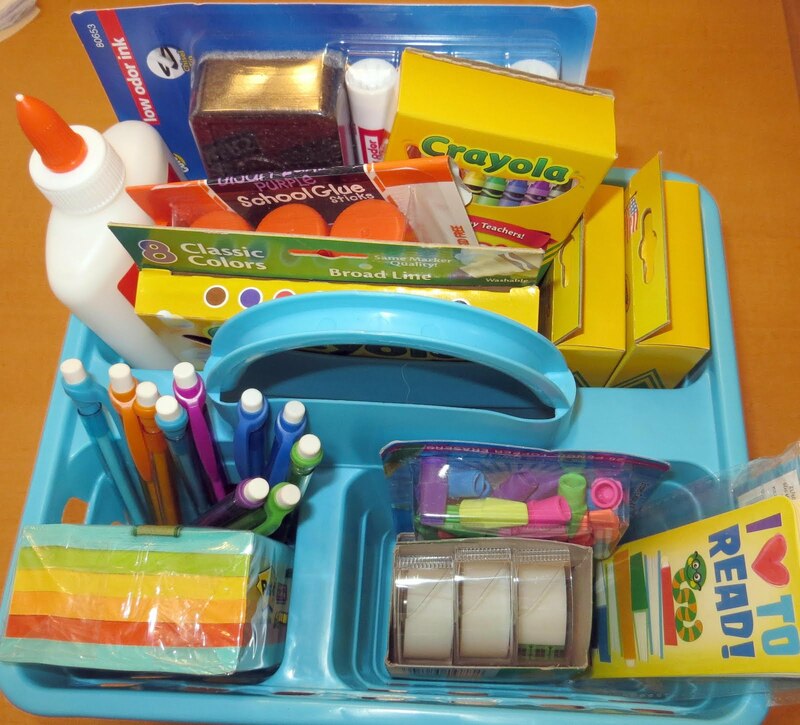 Friday - Stock the Classroom - the room mom distributes a list of items that the teacher needs for the classroom and the kids bring something from the list. 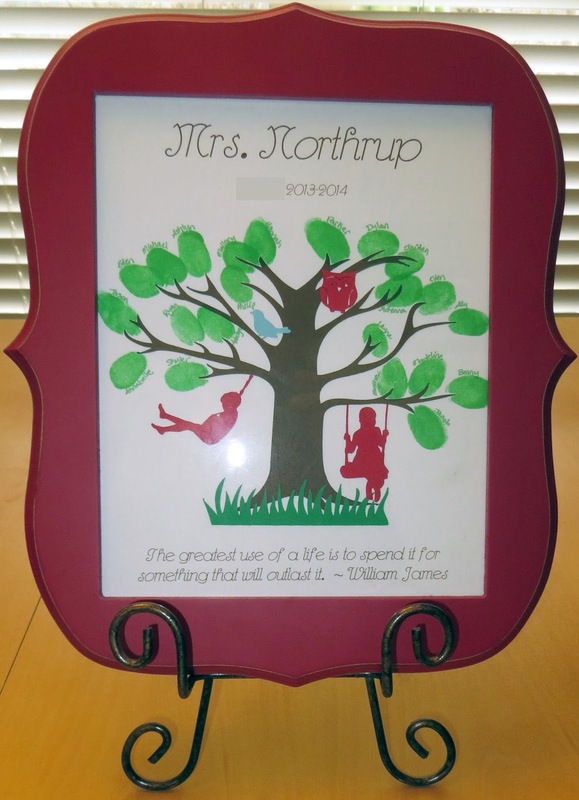 For my 2nd grader's teacher, I made a thumbprint tree and a scrapbook for the Special Memento day. 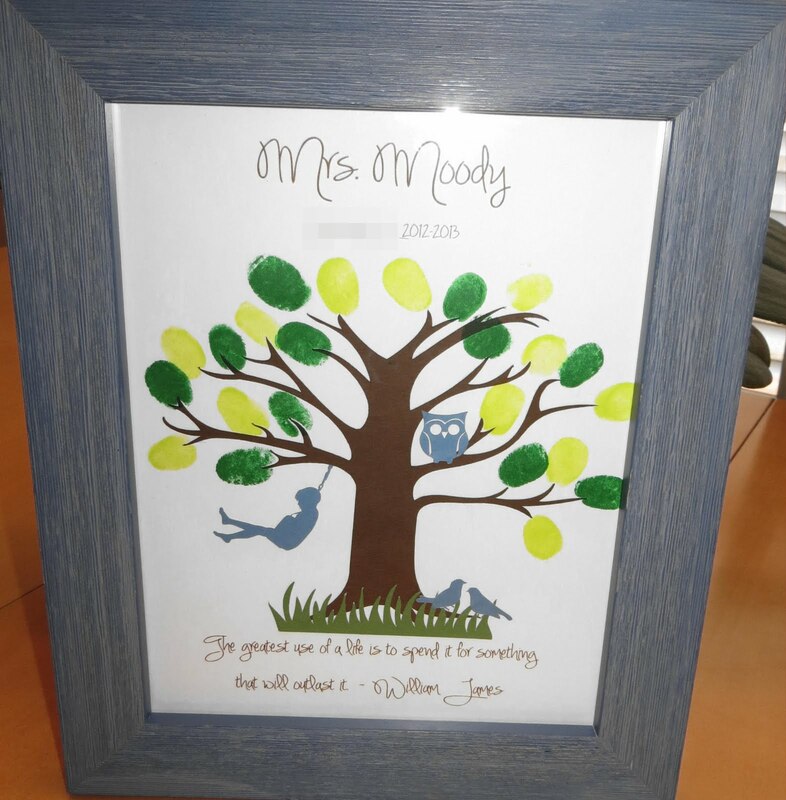 For the thumbprint tree, I printed the teacher's name, school, year, & quote on a piece of white cardstock & cut it to 8x10". 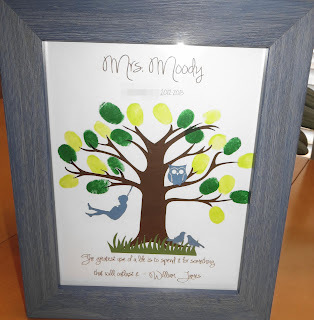 I used my Silhouette Cameo to cut the tree, grass, birds, swinging child, and owl. 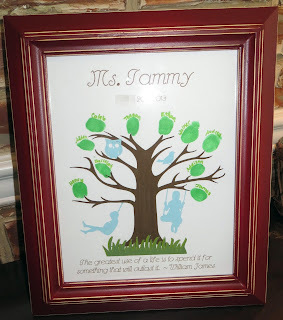 I glued the tree onto the white cardstock and added the kids' thumbprints using green and lime green stamp pads. 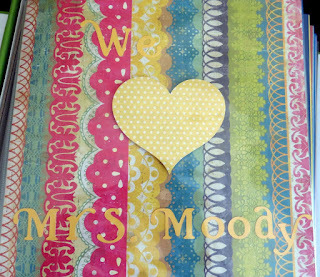 Then I glued on the other items and framed it. 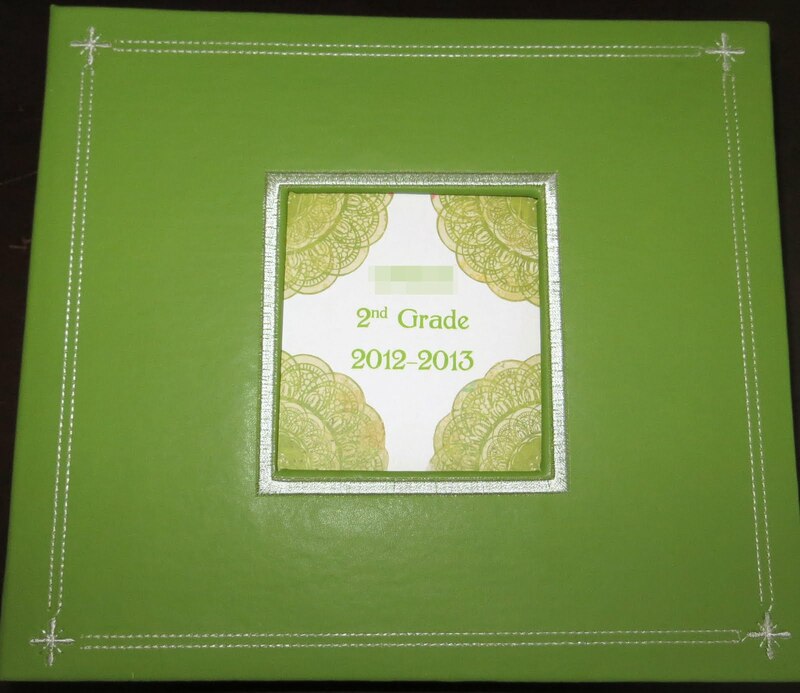 It turned out so cute! 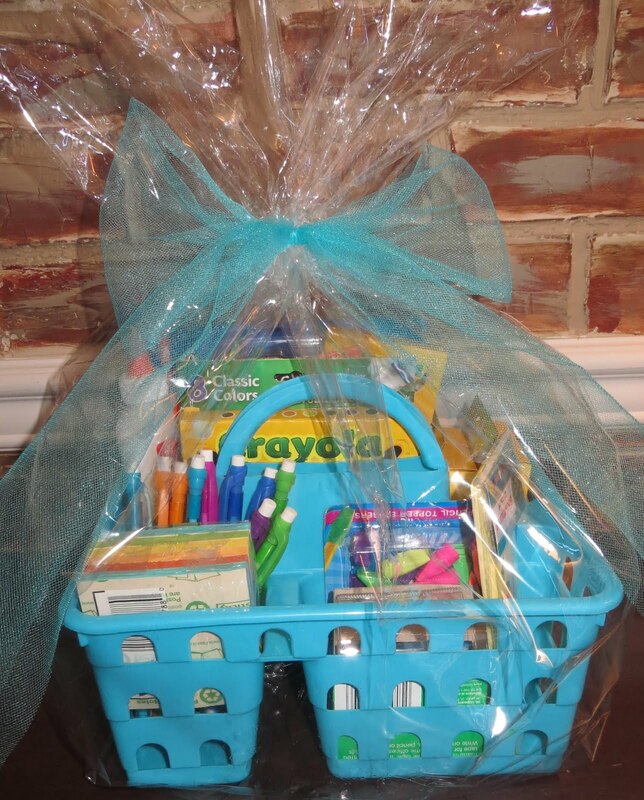 This was something that was easy to do for other room moms too, so lots of teachers will receive these this year! I also did a simple scrapbook with letters from the kids. 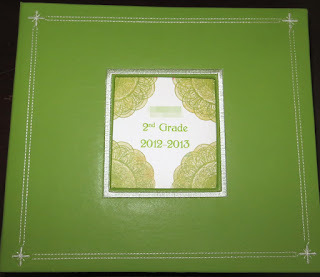 I got an 8x8" scrapbook and used solid colored cardstock as my backgrounds. On each page, I attached a letter from the child, attached the child's photo punched with a 2" circle punch mounted on a 2.5" scallop punched paper, and added their name with stickers. I had basically all of these supplies already so it was easy to do, but I think it will be very special! For the stock the classroom day, I put this together with several items from her list. 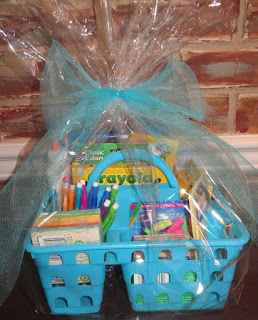 I think it will be a great week for the teachers and the kids! Hi Melissa, I really love this idea! 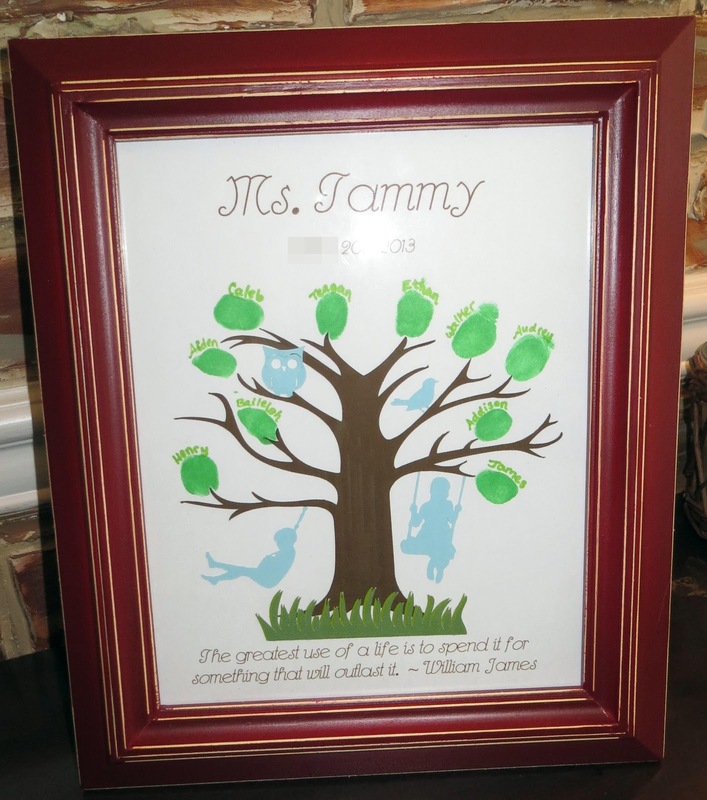 How did you frame the 3rd thumbprint tree?